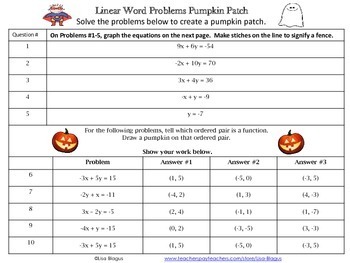 This is a linear equations activity where students will create a Pumpkin Patch based on answers to their questions. 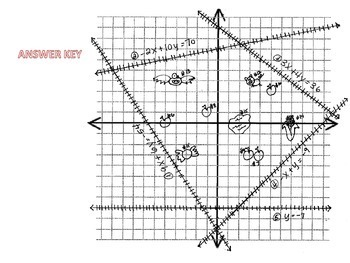 The first five questions have students graphing lines from equations. 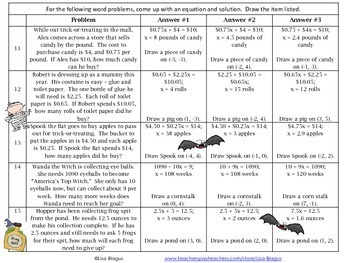 The next five questions have them telling whether an ordered pair is a solution to an equations, and the final 5 questions have them writing and solving word problems. 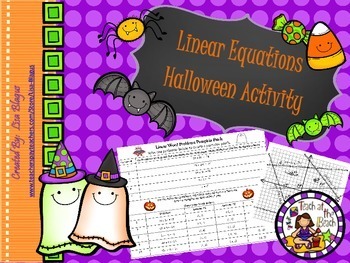 Looking for a quiz on Linear Equations?